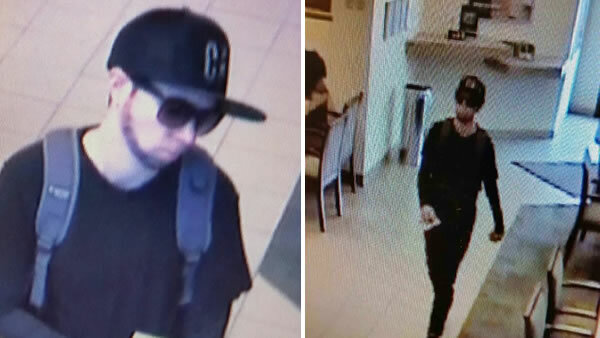 DANVILLE, Calif. -- Police are looking for help identifying a suspect who robbed a bank in Danville Tuesday morning. The suspect handed a note demanding money to the teller, then fled. He was last seen heading north on West El Pintado Road. He was described as a white man with a slender build, standing roughly 5 feet 8 inches tall. He apparently had a fake beard painted on his face and was wearing black pants with a black shirt and a camouflage backpack. Anyone with additional information about the robbery is asked to call Danville police at (925) 820-2144.